Since the inception of Crowning Glory, we're seeing so many good, serious, content rich topics here. As far as search engines are concerned, good content makes us more visible on the whole wide world of web. 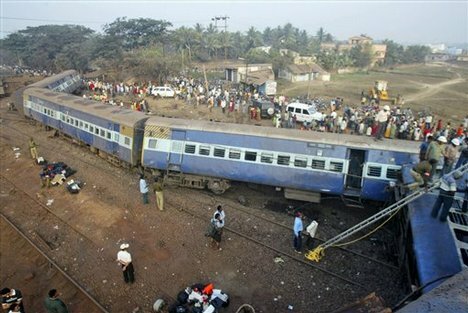 So, I propose to protect the growing number of high quality threads from the curse of derailment by providing a solution: the Masala Thread! pointing fingers: refer to original topics out there, but derail them here! Derailing topics is like a second nature to us, and an important attribute that is unique to eCharcha.com It often brings out the best of eCharchans and provides some intelligent, witty humor that is hard to find anywhere else. Derailing within original topics should be allowed, though not encouraged, as long as the comments are somewhat remotely related to the original discussion. No offense or pun intended. Last edited by swami; May 22nd, 2011 at 01:29 PM. You remind me of Desibaba. He didn't write much but 'dil khol ker' when he did. Charchilla Sahib ... I thought of you while reading above article. Someone whose name starts with an "s"